With a stay at Amigo City Centre Hotel, you'll be centrally located in Prague, a 3-minute drive from Czech National Museum and 5 minutes from Wenceslas Square. 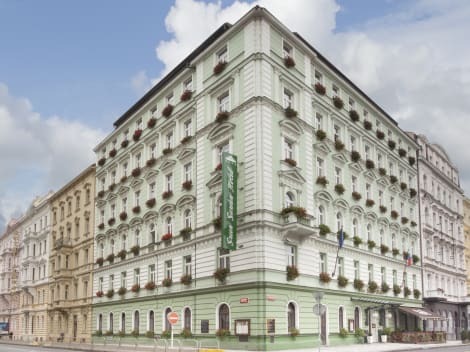 This 4-star hotel is 1.3 mi (2.1 km) from Prague Dancing House and 2.1 mi (3.4 km) from Astronomical Clock. Stylishly furnished rooms feature satellite LCD TVs, minibars, laptop-size safety deposit boxes opened by finger print and coffee/tea making facilities. Each bathroom comes with different flower design. The Green Garden Restaurant situated in the picturesque winter garden serves excellent Czech and international cuisine and a wide selection of fine wines. Live piano music can be enjoyed in the restaurant on some nights. Guests can have a cup of coffee in the cosy lobby Bar and use computer with free internet access in the lobby. The sauna, steam bath and massage are available against prior reservation at an additional cost. The National Museum and Old Town Square can be easily reached on foot from the Green Garden Hotel. The I. P. Pavlova Metro and Tram Station is only 300 metres away. 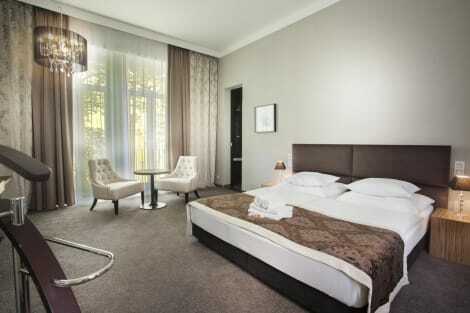 Set in a historical, yet modernised building, the Pure White offers 37 quiet, non-smoking, air-conditioned rooms. The interiors were designed by the award-winning Jestico & Whiles. The rooms are elegantly designed and feature design furniture, a flatscreen TV, a notebook sized safe, free wireless internet and free tea and coffee making facilities. The bathrooms come with bathtubs or showers and toiletries. The residence is 15-minute walk away from the Wenceslas Square with National Museum or 400 m away from the I.P.Pavlova metro and tram station. Guests can visit numerous bars and restaurants serving Czech and international cuisine in the vicinity. Prague 02 is a great choice for travellers interested in beer, architecture and walking. Our professional English-speaking front office staff is prepared to help you with anything you might need at our 24-hour reception. Take in the views from a terrace and make use of amenities such as complimentary wireless Internet access and concierge services. This hotel also features babysitting/childcare (surcharge), wedding services, and a reception hall. Getting to nearby attractions is a breeze with the area shuttle (surcharge). For central, contemporary and stylish accommodation in the centre of Prague, look no further than the 4-star Hotel Noir. Walk out of the hotel door to find metro and tram connections moments away, and the famous Wenceslas Square only a short walk from the hotel. 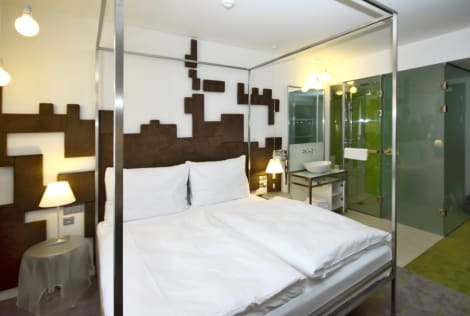 Comfortable rooms are fitted with LCD TV, DVD player, minibar and air conditioning and you can keep connected during your trip with the free w-fi throughout. Relax in the hotel garden or request a Thai massage in your room.